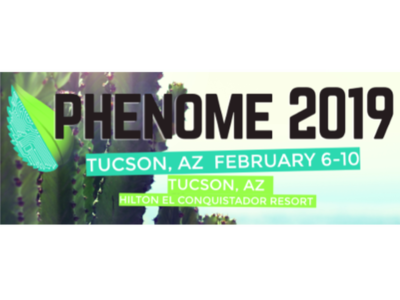 Phenome 2019 brings together researchers from plant biology, ecology, engineering, agronomy, and computational science, and from academia, industry, and U.S. federal agencies to learn about the latest advances in phenotyping, data analysis, robotics, and other topics. This small meeting encourages learning, collaboration, and innovation with hands-on workshops, cutting edge talks, and plenty of opportunities for networking. Submit your abstract by October 29th to be considered for a talk! For more information, visit our website, follow @Plantphenomics and #Phenome2019 on Twitter, and join the network on Plantae. 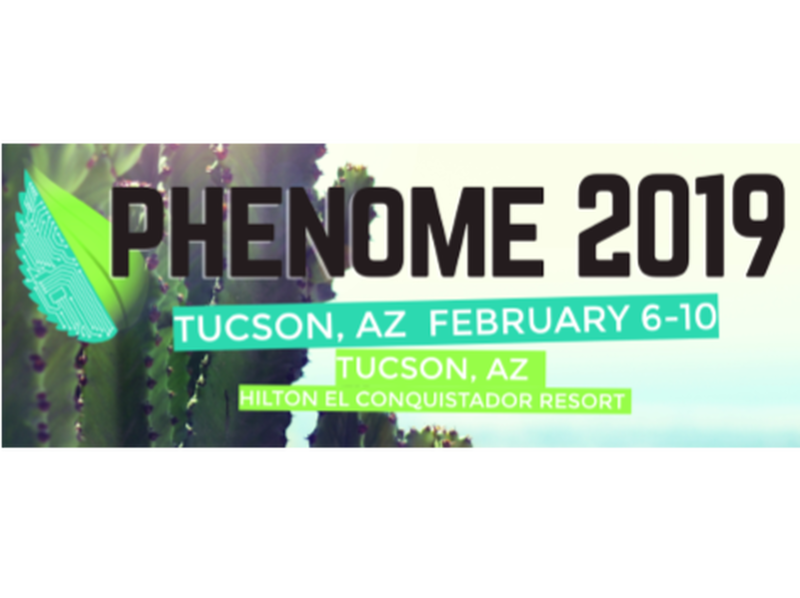 Phenome 2019 will be held Feb. 6–10 in Tucson, AZ and registration is open now-- early bird registration discounts end October 29th.